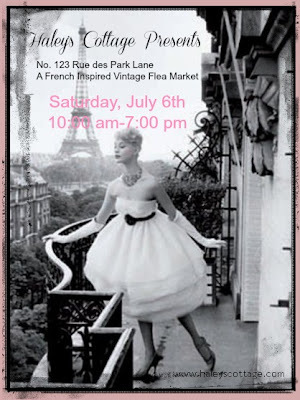 I will be participating in a fabulous flea market on July 6th. If you are local or just a short drive away, please don't miss this one. I promise it's one of the best! Woo hoo - I look forward to this little market each year! looking forward to seeing everyone, pls. come say hi! My mom will be doing this show too~her first one! Come show her some love!